An amazing bookie for anyone looking to take their betting to the next level! Find phenomenal odds and bet limits high enough to touch the sky. Make easy profits with the popular arbitrage betting strategy allowed and find an action packed selection of eSport bets with all popular eSport games being offered to enjoy. Be sure to never run out of cash with the industry’s fastest withdrawal times. Do we need to say more? Pinnacle is a bettors paradise! Join in one the exciting fun and visit their site by clicking the button below or continue reading our full review of Pinnacle and learn all about them. If you play high stakes, want great odds, fast withdrawal times or is interested in Arbitrage betting, then these are all good reasons to pay a visit to Pinncale. Of course, if you want a good eSports coverage with many matches, many games and many markets this is a great reason as well! Pinnacle has its own dedicated section for eSports which is usually a great sign and they definitely don’t disappoint! The only thing really holding Pinnacle back from being one of the top eSport betting sites is their limited customer service and lack of bonus offers. 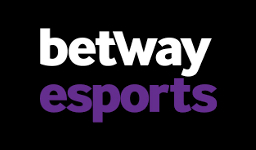 For the three most popular games, CS:GO, LoL and Dota 2, Pinnacle does a great job offering a wide selection of entertaining markets to bet on. Below you’re able to find all of those that we have seen offered so far. Please note that some markets are special ones that are tournament specific and only available during certain events. Will there be an ace? At Pinnacle we’re really impressed with their withdrawal policy. Usually a withdrawal request that is below $10,000 or equivalent in any other currency, is processed at once. There are of course exceptions to the rule and if there is any verification needed there will of course be a delay due to this. However generally you can expect super fast withdrawals playing here. When it comes to settling of bets, these are settled once official results are in. Usually this means within 15 after the match has ended. However when there are a lot of games going on, there can be a slight delay. Going through the casino section it becomes clear that Pinnacle’s main focus is on Sportsbook and not on slots. 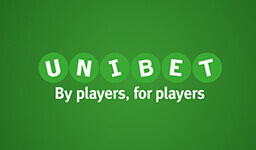 With only 50 slots to choose from the usual casino enthusiast will have a lot to wish for. They do however have some interesting games as they use a company called Multislots as their game provider. A provider which is otherwise not that commonly seen among sites. Pinnacle also offers Bingo and Lotto, but only has one room to choose from on each. Argentina, Austria, Bosnia, Brazil, Canada, Finland, Iceland, India, Indonesia, Japan, Korea, Malaysia, Nigeria, Norway, Portugal, Russia, Switzerland, UAE, Ukraine. American Samoa, Australia, China, Curacao, Czech Republic, Denmark, France & French Territories, German state of Baden-Wurttemberg, Germany, Guam, Ireland, Italy, Netherlands, Northern Mariana Islands, Philippines, Poland, Puerto Rico, Singapore, Slovenia, Spain, Sweden, The Democratic People’s Republic of Korea, Turkey, United Kingdom, United States, Virgin Islands.